Tired of the same old boring exercises? Ready to take the work out of workouts? Visit the Smoky Mountains this September. Amid our stunning scenery, fitness is fun, not a chore. What's more, you'll find plenty of enjoyable ways to burn fat, build strength, and tone muscles. With over 800 miles of gorgeous trails, the Great Smoky Mountain National Park is truly a hiker's paradise. Right now there's even more reason to trek those legendary trails: the "Smokies Centennial Challenge-Hike 100 Program," celebrating the National Park Service's 100th birthday. Launched by National Park Service Superintendent Cassius Cash, this year-long program invites hikers of all ages and skill levels to hike any 100 miles of maintained trail within the park boundaries. Which 100 miles? That's up to you. Choose from easy nature trails and rugged backcountry trails. Hike the same trail over and over or opt for a variety of trails. If you reach your 100-mile goal by December 6, 2016, you'll receive a commemorative pin and be invited to a special park celebration hosted by Superintendent Cash. Best of all, you'll have burned thousands of calories in one of America's most breathtaking settings. What's not to like? Got active kids? Bring them to TopJump, located between lights #8 and #10 on the Parkway, near Dolly Parton's Stampede. In this safe, fun environment, your entire family can leap, soar, fly, and flip across seemingly endless trampolines. Plus, you can experience Clip 'n Climb, the nation's first sky-high climbing adventure. When you're all done jumping, climbing, playing dodge ball and basketball (and more), you can recharge your energy with tasty treats from the Sugar Rush Candy Store. Love horseback riding? You're in luck. 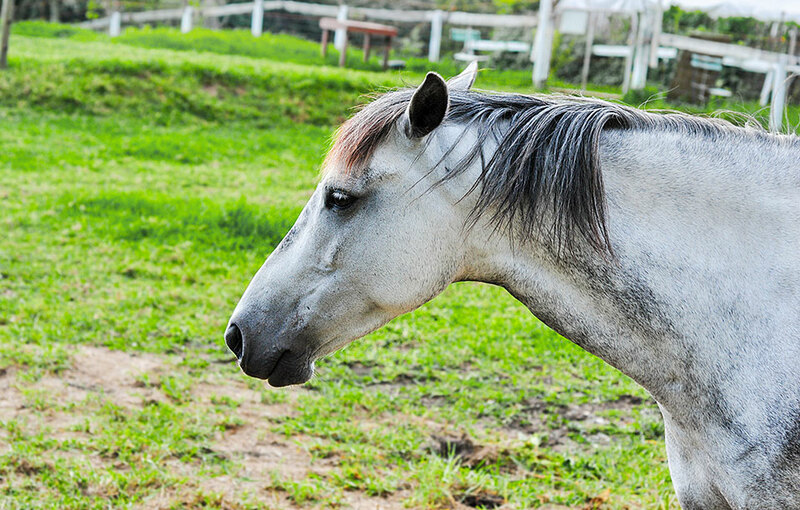 The Gatlinburg area has a number of respected stables, offering outings for all ages and experience levels. Check out Smoky Mountain, Sugarlands, Five Oaks, and Cades Cove Stables, to name a few. And remember, you can burn up to 400 calories or more during just one hour of horseback riding. At the same time, you'll get to enjoy the natural beauty of the Smokies! Through late September, the famous Cades Cove Loop is closed to automobile traffic on Wednesdays and Saturdays before 10 a.m. So, here's your chance to take a leisurely bike ride through spectacular mountain scenery. If you visit after Labor Day, you'll even get a discount on your bike rentals. Plus, there'll be fewer visitors then, so the Loop will be much less crowded. You'll love the peace and quiet and fresh morning air! You'll find lots of other fun activities in the Gatlinburg area, from golf to white-water rafting. Plus, if you stay at one of our comfortable cabins, you'll have easy access to all the excitement. We offer a wide variety of options, from rustic chalets to luxury cabins, with amenities ranging from hot tubs to gourmet kitchens and more. All our rentals are located in lovely Wears Valley, just minutes from Gatlinburg and Pigeon Forge. Book now – September's almost here!